*Please note that some of these terms may be subject to change and consideration, as the original guiding document is over 150 years old! This part of the document is to be updated later on. Please check back very soon. www.anu.edu.au/polsci/marx/cla… - The entire Communist Manifesto by Karl Marx. This is our guiding force. Please read this document! www.cpusa.org/ - This is the CPUSA or the Communist Party of the United States of America. It has many important links and resources. www.marxists.org/archive/marx/… - This is Fredrick Engel's contributions to the basis and ideas behind Communism in an easy to read format. www.cjb.nu/ - The Dutch Youth Communist Movement. This has many pieces of information for Dutch youth and people in general, however it is only in Dutch at this time. This link we added is from revolt10-17 -- we thank him for his great find! www.vad1.com/anthems/ - All of the Soviet National Anthems compiled in a timeline format. If you have other great Communism links, do not hesitate to send them to the CPDA! This is a very short article that will contain all true political philosophies we have to offer, as well as many links to Communist-based information. We also plan to update this with many important DeviantART philosophies as well! Please stick by us as we continue to organize, compile, and publish our viewpoints. We are a non-profit organization who is trying to spread the word on the joys of Communism and it's many, many advantages. Why wait? Join your fellow citizens and become an official CPDA member! NOTE: This information is designed as a resource to historical documents, and does not directly suggest our group's idealism as we support any person who wants to join, Communist, Anarchist, Capitalist, or otherwise. I am a Canadian capitalist, but I am very curious and open to hearing new economic ideas and evidence. I will number my questions so they can be clearly referenced and answered, I am very excited to hear your theories and ideas. 1: What countries you believe have successfully integrated hard lined socialists ideas or communist ideas? 2: What do you think about the freedom of exchange of goods and services? 3: Is everyone allowed to freely exchange what they own? 4: Is Soviet Russia a good example of socialism? A fundamental issue with Communism is that it assumes its leaders are morally just and have the best interests of the people at heart, when in reality, those who are in power, wish to gain more, as well as maintain their current power. In essence, Communism sounds great on paper, but it has yet to prove itself in practice. I hate Capitalism, but Communism is even worse. you can reduce the critic of captialism by nazis to the idiotic sentence: I have the right to be opressed by a german. To those of you stating that Communism/Socialism is bad in real Communism the "state" is really the collective name of the citizens of that state, so in Communism the state is directed by the community. 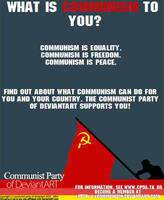 This, however, has never been practiced as they have always used a one party system using the name communist/socialist party of [country] to establish a totalitarian/fascist government (Which is why Communism and Socialism get such a bad reputation). So before saying Communism or Socialism are so bad because of the USSR, Nazi Germany, etc. please realize that the governments you are looking at were not strictly communist. They were Totalitarian or Fascist using a Communist or Socialist economic plan to keep the people poor and themselves rich. Not all Communism is bad, only Communist Dictatorships are. The only issue with this is what I call the "Stalin Problem." Basically, it states that a system such as this will put immense power within several people's hand. And unfortunately, when someone has a lot of power, they want more, and will get it by any means necessary, much like Josef Stalin of the USSR. this is completely wrong has Stalin was given a bad wrap by the FBI. Hoover payed journalists to lie in their counter propaganda wing. Here's a challenge: Achieve all of that without initiating force against anyone in any manner. I personally believe that Socialism to some extent is good. However a completely Communistic economic system is impractical. True, it is impractical. If you remove the dictator, all you have is a peaceful working community. That is more practical, and it's true communism, but no one can escape social classes long. They're inevitable. Right. If there was a full-democratic Communist country, the main problem of an over-powered government disappears. However, history has shown that most Communist governments fell to protesters who were impoverished, oppressed, or both. True. But in some cases (ex: Romania, Poland, and Cambodia) it was a good thing. How? Please elaborate, I don't understand what you mean :/. Well, when Romania and Poland usurped their Communist governments, their economies and human rights conditions improved. Cambodia's Communist dictator Kol Pot (sorry I forget his name exactly but it is along those lines) was slaughtering Cambodia's middle class in a genocide. That ended when the people rebelled. It's why Cambodia's economy is so poor, but at least they aren't being murdered anymore. "When one observes the nightmare of the desperate efforts made by hundreds of thousands of people struggling to escape from the socialized countries of Europe, to escape over barbed-wire fences, under machine-gun fire—one can no longer believe that socialism, in any of its forms, is motivated by benevolence and by the desire to achieve men’s welfare. When you consider socialism, do not fool yourself about its nature. Remember that there is no such dichotomy as “human rights” versus “property rights.” No human rights can exist without property rights. Capitalism is the only system where such men are free to function and where progress is accompanied, not by forced privations, but by a constant rise in the general level of prosperity, of consumption and of enjoyment of life." Hmm, so you believe that starvation is better than the deprivation of the right to starve to death? I don't get understand that, but it sounds good :3. Just as flawed as the actual manifesto. Marx never keeps in mind the human want for choice. All it is is big government control, and many laws. Seems to be what the US is these days. It used to be limited by high gain and small government control. Because my great uncle was shoved out of his house by the Red Army and saw it burned down and was very lucky to escape to America, I shall stand opposed! In good opinion. 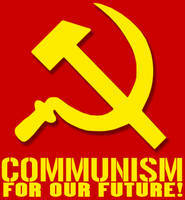 When everyone works hard and no one is greedy, I will support a Communist revolution. -The government owns pretty much everything. -The government or state is a large entity in the people's lives. -Centralization of credit with a national bank operated and monopolized by the state. When you give a government a lot of power, you introduce grounds for corruption. Absolute power corrupts absolutely. I think a communist government with that much control and power would eventually backlash and turn into the capitalistic government that was abolished or avoided in the first place. I'm not to well-versed as far as the concept of a state owned and operated national reserve or bank goes, but I don't think that a large government should be given control over a source of money. I also disagree with the fact that rebellion against the state is discouraged. Look what's happening in the UK today, which is echoed throughout the entire globe. We're in a massive recession caused by greedy people all feeding off of Capitalistic "virtues". The public should decide how money gets spent, not some ponce on the end of a telephone. This recession either has to mean the end of Capitalism or the start of its downfall, the public just won't put up with it for much longer! This manifesto definitely reminds me of that in Garden City by Ebenezer Howard. why don't we combine them?? It's not rude it's simply possible! I beleive so as well, but how do you mean specifically? Well, like combining the good sides of both sides and making the weaknesses minimal. Such as private belongings are acknowledged but there are some 'tax' for reducing the poverty. capitalist people = puppets = obey what says TV = cheated = let be controlled by to unknown faces (anonyms societies) = allow foreigners companies to invest on their own country and make rich only the network. I strongly support communism. However, my question is, wouldn't it work best without a government and currency? Also, isn't it alright to keep one or two things for yourself, like say, an mp3 player? I'm fine with most things to not be personal property, but there are some great things that are simply meant to be so. local communism is actualy global anarcism. neithers a bad idea. however they are discribeing marxism (a.k.a.) socialism, which supports a strong government so they can colecctivly (and eventualy) move into the final stage which is (actual) communism. Eastern ideals really aren't ideals at all. It makes conclusions that are reminiscent of the Western enterprise, but the process is more dogmatic than reasoned. Hello, I am very interested in Communism and have a desire to learn. I have found that my education in America never hit on the theory behind Communism and after I read "The Communist Manifesto" I was suprised to see how much I actually agreed with it. I want to learn more though, Is there any other books that can help me further educate myself on the subject? Also, how can I become more involved with it??? now I am proud to say that I agree with Communism!!! I fear you may be right. America is slowly becoming communist, but not in a good way. Americans now are too greedy for their "freedom" that they don't care if they steal it from others. Our constitution is under attack, America is slowly dying. We once enjoyed the freedom to protest, now it's being taken away. We once enjoyed freedom of the press, now it's filled with lies. One side of America cries out for freedom from another side of America when both sides are wrong. America hangs on the knife edge. Not long now till people like me are sent to prison camps... and for what? Just because I disagree? Although I am not a personal follower of communism and it's ideals, I must applaud the CPDA for supporting so strongly a system considered universally totalitarian and "evil." I am happy to see the system in question portrayed as what it was originally meant to be, a way for the people to help themselves. I think its nice and everything, but why stop there? We can nationalize energy, existing farms and farming machinery. I also think freedom of speech is very important, after all, knowing that not everyone feels satisfied inspire us to do it better and make Communism be much more efficient. Also, the lack of freedoms has been the main reason for the collapse of Communist states. 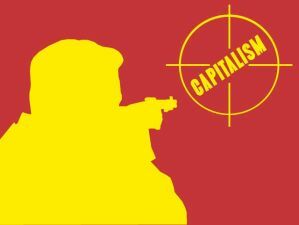 Communism may however, always prevail, after all, we're witnessing the fall of capitalism right now. Hello there, I'm very much interested in the online Communist Party. Any chance that Manifesto will be updated soon? What updates would you propose? An Ex-Communist on How to be a Good Communist1. Refrain from being overly dogmatic! A while back, it was requested by scottyb16 that we have a Party-wide discussion on the upcoming Scottish Independence Referendum and whether or not to voice open support for an independent Scotland. Previously, heavy discussion within the CPDA Central Committee had resulted in a general agreement against support of YesScotland, however per the standing request of scottyb16, we are honoring an open discussion on the matter of CPDA support. On the one hand, we as Communists tend to support many anti-Imperialist movements. How would Scottish independence from the UK benefit the working class? What would it mean to have an independent Scotland, a nation likely to join NATO and the European Union, likely to retain it's inherited economic and political structures from the UK? Today I bring you a review (written by comrade Susan Webb of the CP-USA and People's World) of the 15th International Meeting of Communist and Workers Parties. It had been held in Lisbon, Portugal and was attended by a great many of the world's Communist organizations. Interesting, suffice it to say. I would like to take the time to outline something that was lightly touched upon by our Commissar of Literary Affairs, comrade DeathlessLegends13. In his recent journal post requesting writers for the Party's blog, The Red Star Vanguard, he had started one of several aims of the CPDA's One Year Plan. What is the One Year Plan? It is, simply, the Central Committee's organized effort to fulfill all goals established at the 2011 CPDA Congress as voted on by the Party membership. The Plan was voted on by the seven member Central Executive Committee, and while participation is voluntary, I personally encourage all comrades to help in the effort. The Plan should be fulfilled no later than November 1st, just short of this year's Party Congress. Is this what you call the "Land of the Free"? Let's band together and end the rat race!